The World Fantasy Award was established in 1975 as part of the World Fantasy Convention. 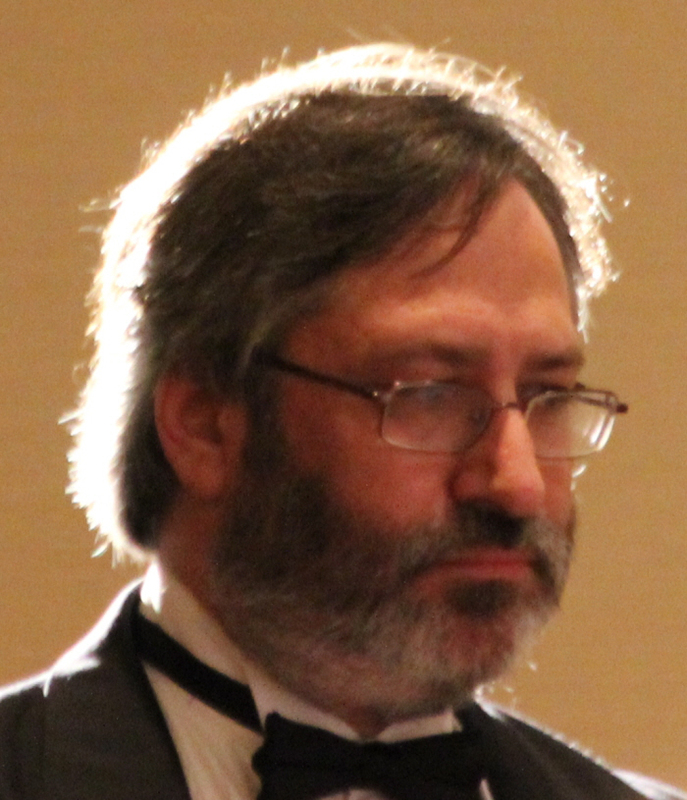 Seen as a fantasy version of the Hugo and the Nebula Awards (neither of which are strictly for science fiction), the nominees and winners are selected by a panel of judges, although currently, two positions on the ballot are opened up to nominations from members of the World Fantasy Convention. The Novel Award has been presented since the first year, when it was won by Patricia A. McKillip for her novel The Forgotten Beasts of Eld. There have been six years in which the award resulted in a tie, most recently in 2018, when Fonda Lee and Victor LaValle both received the award. Originally, the trophy was a Gahan Wilson created grotesque bust of H.P. Lovecraft. In recent years as more and more authors, fans, and winners of the award spoke out against Lovecraft’s misogyny and racism, the trophy was replaced by a sculpture of a tree created by Vincent Villafranca. 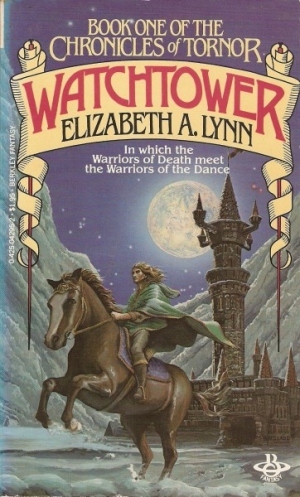 In 1980, the award was won by Elizabeth A. Lynn for her novel Watchtower. 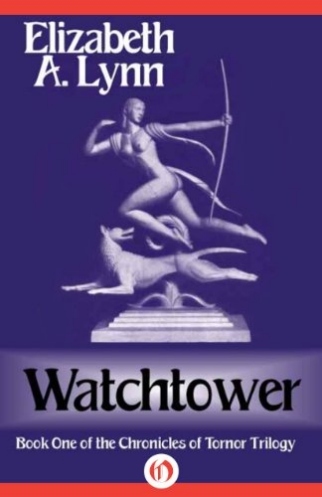 Watchtower is the first volume of Elizabeth Lynn’s Chronicles of Tornor series, the second volume of which, The Dancers of Arun, was not only released in the same year, but also appeared on the World Fantasy Award ballot opposite this volume. The series was completed the following year with the publication of Northern Girl. The focus of this volume is on Ryke, a warrior at Tornor Keep who is on the losing side when the fortress is besieged by the southerner Col Istor. With his lord, Athor, dead, Ryke expect to have a very short life expectancy or a life of servitude to the new overlords. He is surprised when Col selects him to head one of the four watches, commanding a contingent of the conqueror’s men. Loathe to accept the position, he does so reluctantly when he realizes that Athor’s son, Errel lives, but that his life is in Ryke’s hands. Lynn begins to explore the way the conquered respond to their new situation. 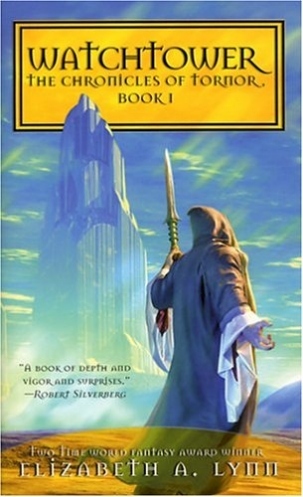 The book’s examination of what it means to be on the losing end of a battle isn’t just a look at Ryke’s life as a collaborator, however reluctantly, but also hints at the changes in fortune of the women who live at Tornor Keep and in the nearby town, although it is clear that their lot wasn’t significantly better when Athor was alive. Positioning Athor’s sister, Becke, among the women in the keep, Lynn also shows a society in which familial ties, at least for Ryke, are not particularly strong. Instead, Ryke’s ties are feudal, he swore an oath to Athor and Athor’s death does not release him from that oath. Eventually, Ryke manages to get out of Tornor Keep, which gives Lynn a chance to explore the larger world. The primary division in her world is between the northerners, of which Ryke is one, and the southerners, who produced Col Istor. Because the novel is mostly told through Ryke’s point of view, the northern culture is depicted as the norm, although as Lynne expands Ryke’s world, it becomes clear that southern culture is more nuanced and advanced than the culture that created the Keeps of the North. While genders roles at Tornor Keep and the nearby village where Ryke was born, are reasonably set, Lynn introduces apparent hermaphrodites and begins to explore gender roles. Although much of Lynn’s depiction is subtle and matter-of-fact, it is clear that Ryke is discomforted by his discovery that sexuality may not be binary and that women, especially, might not be happy with the roles society has defined for them. Lynn has created multiple cultures in Watchtower, not just a northern and southern culture, but also the valley of Vanima, whose southern-based culture is mostly concerned with building a reclusive utopia where all can live in peace and improve themselves for the good of the closed society. Even the northern culture is not monolithic. Visits to three of the keeps, Tornor, Cloud, and Pel, show how each one is defined by the lord who rules over the keeps, providing a rich culture. Perhaps the most intriguing character in the novel is Prince Errel, originally believed killed by Col Istor’s men and later caged, he seems to accept whatever fate befalls him, while at the same time maintaining an open mind to absorb all of the opportunities life throws at him no matter how far they stray from his expected route to Lord of Tornor Keep. He remains grateful for Ryke’s service, even as Ryke serves Col Istor even when things look the most bleak he maintains his father’s oath towards Ryke and any of the other inhabitants of Tornor Keep and the associated villages. Watchtower is the first of a trilogy and as it approaches its end, there seem to be some major plot points left to be wrapped up. Lynn does so quickly, almost too quickly. Until the final chapter, it seems as if the book is being set up to conclude in the subsequent volumes of the series. When Lynn does wrap up the plot lines, allowing Watchtower to be read as a stand-alone novel, it feels like everything comes together a little too quickly. Watchtower beat out the second book in the series by Lynn, The Dancers of Arun as well as Patricia Wrightson’s The Dark Bright Water, Patricia A. McKillip’s Locus Award winning Harpist in the Wind, Charles L. Grant’s The Last Call of Mourning, and Chelsea Quinn Yarbro’s Saint-Germain novel, The Palace.